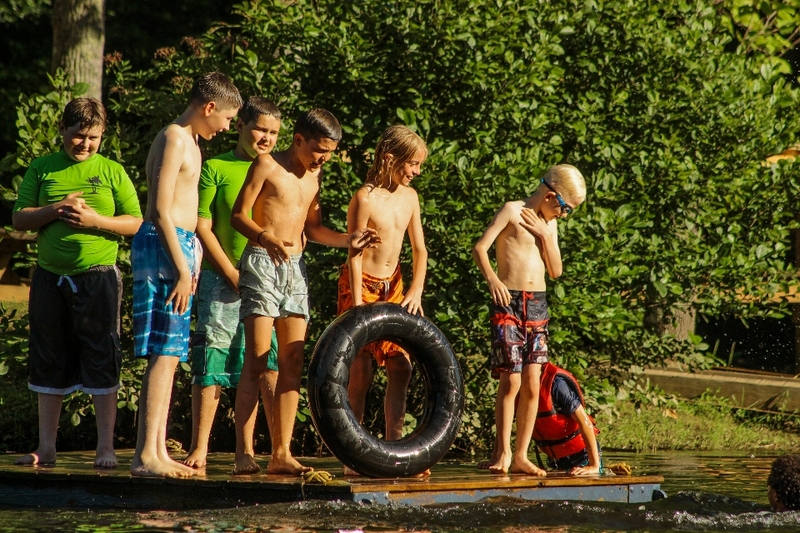 As active leaders in the camping industry, we believe in the immense value of summer camp for kids. We’ve studied the research and statistics and we know that summer camp–regardless of which one you pick–can be a positive and impactful experience for any child. But is one week at camp enough? Unlike many other established sleepaway camps on the east coast which only offer 4- or 7-week options, Camp Friendship offers short 1- and 2-week sessions which can be combined to stay multiple weeks. We offer 1-week sessions because we know that many first-time parents consider their first summer a “trial run”, and we want to ensure both campers and parents feel ready for an overnight camp experience (even though at the end of the week, many first-time campers beg to be allowed to stay longer!). Camp gives kids the chance to connect with others face-to-face. Campers stay friends with each other throughout the year and strengthen those existing connections at camp the following summer. Better yet, they continue to expand their circle of friends each year and, at Camp Friendship, they have the added benefit of being exposed to a global village with people who come from all over the world. As they get older, children need to practice the self-management of their emotions. 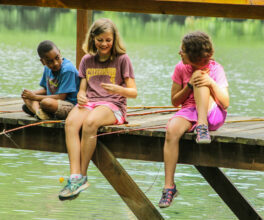 Camp is the ideal setting to practice this as counselors serve as excellent yet subtle role models. Children expect to be told what to do and how to be by their parents… they don’t expect to be shaped by their counselorswho can give them friendly advice from the vantage point of a friend who cares. 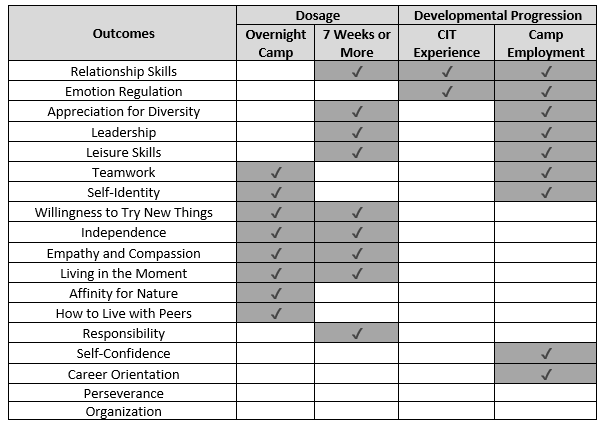 Not only is there the activity progression that follows the notion that “practice makes perfect” in any sport or activity, but multiple years at camp offers social growth and development. It also allows campers to increase their independence from year to year. The first time at an overnight camp makes a big impact in the life of our campers, but each subsequent camp experience adds to and enhances the next. We hear it every day–the ever-increasing impact of technology on humanity, and specifically children. Every year, as campers get older and become more dependent on technology, having a time set aside when they can be technology-free is a great way to help them become well-adjusted individuals. Camp Friendship is a place to be YOU, allowing campers to join a welcoming community  where they don’t need to pretend to be someone they’re not. Every aspect of camp creates a nurturing, inclusive environment where campers are encouraged to be themselves.The pressures from school, siblings, and peers are removed. Everyone is equal, everyone is supported, and everyone matters.